Our BASIC ROOMS characterized by their connection with nature. They are made exclusively of natural materials (wood and bamboo) and have a traditional coconut roof. They are more suitable for guests on a budget who still seek some privacy and are looking for a rural Indian adventure. Windows and openings have no mesh, thus insects and squirrels can sneak inside. 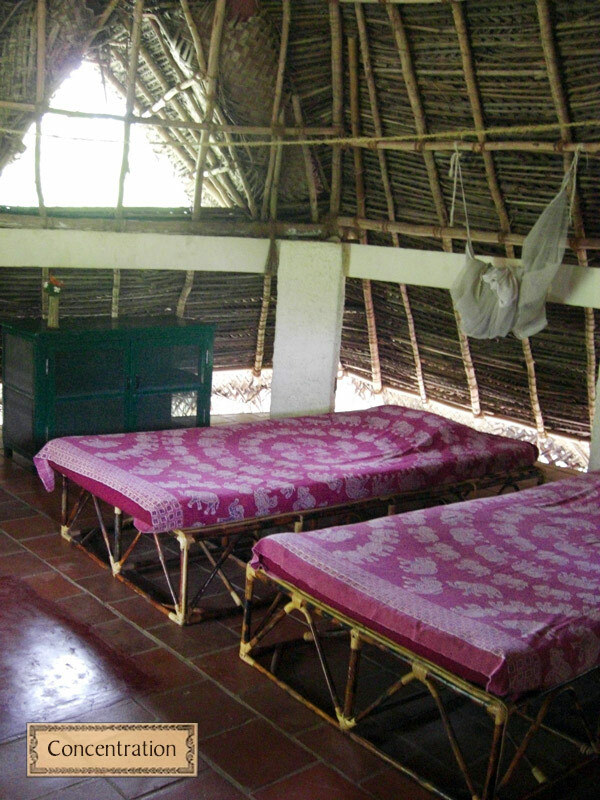 All beds are provided with sheets, blankets, pillows and mosquito net. Each room is also equipped with a writing desk, locker, large ceiling fan, electricity plugs, and power back-up for lights only. Some rooms also have a terrace with chairs outside. Take in consideration that once reservation is confirmed, we’ll only guarantee for the standard that you have chosen, but not a specific room that you might like, even though we can note down your preference. Also, if you want to stay in a room, but you want to save some money, we can find someone (same gender) for you to share it. 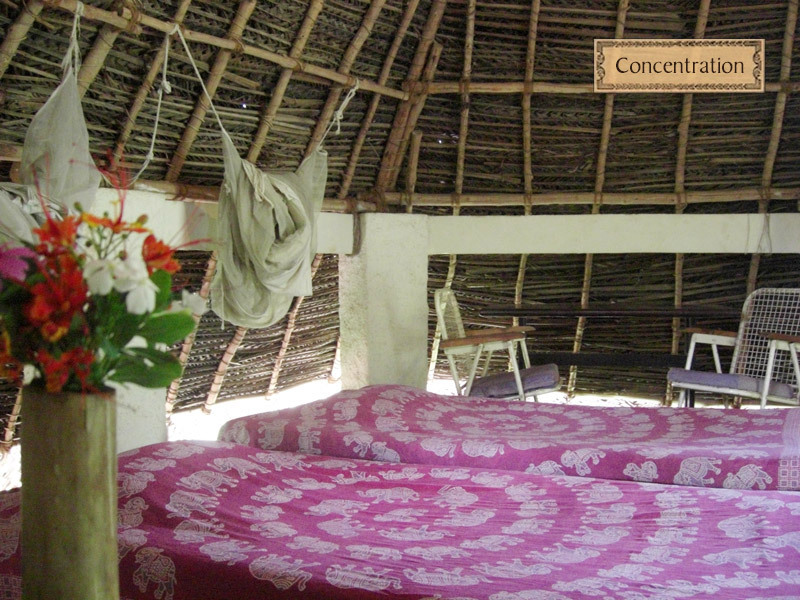 Rates below are per person (pp) per night and include the Auroville contribution, but do not include breakfast; also, for those rates that exceed Rs. 1000 per night, an additional 12 % tax (GST) is not included and needs to be added. SAVI registered volounteers can avail of a 20 % refund towards their accommodation costs in addition to the discounts mentioned below. Additional bed in private room: Rs. 450. Additional bed in private room: Rs. 300. Additional bed in private room: Rs. 600.